Nordson Is Building a Global Manufacturing and Service Network to Provide Customers with Superior Local Support for All BKG, EDI, Kreyenborg, and Xaloy Brand Products. WESTLAKE, OH, U.S.A., February 23, 2015: NPE2015 will be the occasion for Nordson Corporation to introduce to the marketplace of the Americas a unified, global strategy encompassing all of the technologies in its polymer processing range, which includes four well-established and respected brands of production-line components for melting, homogenizing, filtering, metering, and giving shape to plastic and fluid coating materials. At the Nordson exhibit (Booth 6263), all four brands will be represented by new technologies, including a breakthrough Nordson EDI flat-die mechanism for sheet extrusion, new Nordson BKG equipment designs that increase throughput in underwater pelletizing, Nordson Xaloy plasticizing units that solve special problems in injection molding and extrusion, and Nordson Kreyenborg melt filtration systems that reduce downtime in extrusion, compounding and recycling. 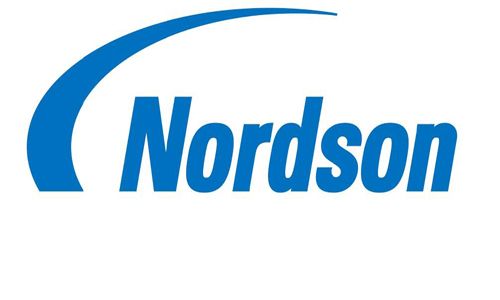 Nordson Corporation, a publicly traded multinational with annual sales of nearly US $1.7-billion, began acquiring these brands after the last NPE and has now integrated them into the Nordson polymer processing range of products, combining more than 200 years of experience with polymer processing technology. Nordson Corporation directly operates facilities in nearly 40 countries in Europe, Asia, and the Americas. Thirteen facilities dedicated to the design and manufacture of polymer processing products are located in the United States, Germany, Belgium, Japan, China, and Thailand. There are also extensive polymer processing laboratory, technology, and training centers at four facilities in the United States and Germany. Regional Nordson polymer processing organizations are in place for the Americas, Asia, and Europe, Africa, and the Middle East (EAME). In every region, Nordson has employed a strategy of focusing more closely on the processes in which customers actually employ Nordson’s polymer processing products. Each of the sales teams in a given region is dedicated to a specific family of applications: extrusion, injection molding, and polymerization / compounding. As a highly diversified manufacturer of precision systems, Nordson invests heavily in R&D and holds thousands of patents. Over the past three years, Nordson has accelerated new product development within the polymer processing range, as demonstrated by the innovations on display at NPE2015. In the months following the show, Nordson plans to announce more new products and improvements in existing systems for polymer processing customers, according to Mr. Keane.